The mile marker is a trapezoid with bottom longer than top; these are typically found both on median guiderail/Jersey barrier and on the right shoulder, while tenths markers are vertical rectangles and are only found on the right. The speed limit sign is a patched-over 55 MPH, and says "CONDITIONS PERMITTING" in the white-on-black band. That's actually how the law in NJ reads on speeding, so kudos to the now-subsumed Highway Authority (now part of the Turnpike Authority). 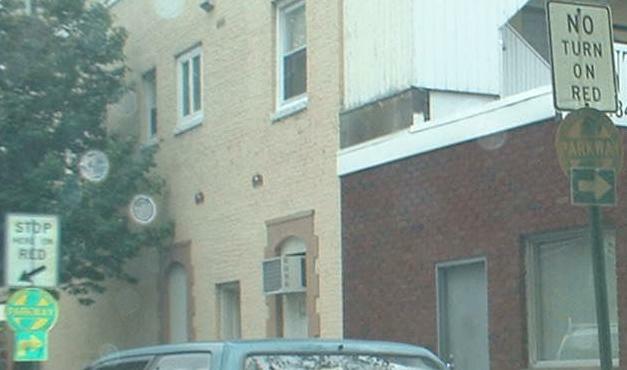 I guess the new sign contract didn't include removal of the old sign, here in Harrison. 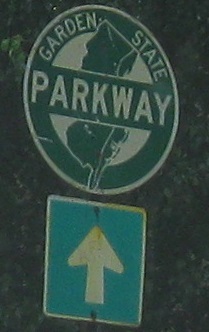 This is a standard Parkway entrance sign, made to look different from that for any other roadway. Unlike the cool green-on-white Turnpike entrance signs, the Parkway's are found at almost every entrance, from every angle. This one is on NJ 3 WB. 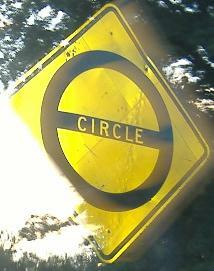 CR 651 at... Exit 36, courtesy Scott Colbert. Since NJ 36 turns into (now former) NJ 444R and NJ 444S - both Parkway ramps - this sign is particularly misleading. A side view from CR 657 EB, Stone Harbor Blvd., courtesy Scott Colbert, where it meets the Garden State Parkway at Exit 10. 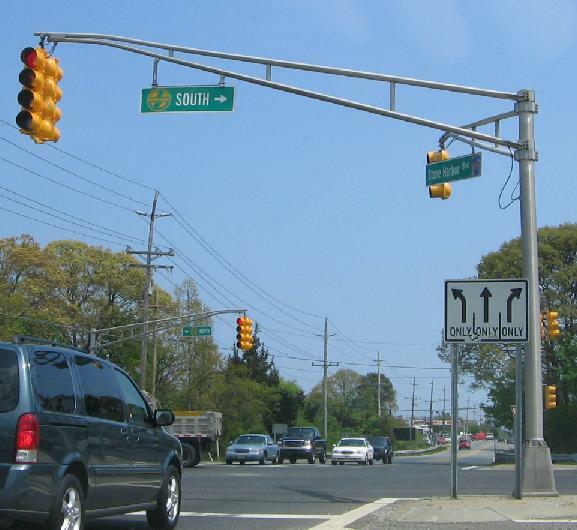 Exits 9-11 are traffic signals, the only case of such in NJ, though many NY Parkways have numbered exits at signals. Very thinly drawn sign on Valley Road WB entering the Clark circle at Exit 135, where traffic routinely backs up ¼ mile onto the Parkway, especially on the SB side. At the end of Exit 129, cars have this button-copy choice to make upon entering the Turnpike at Interchange 11. 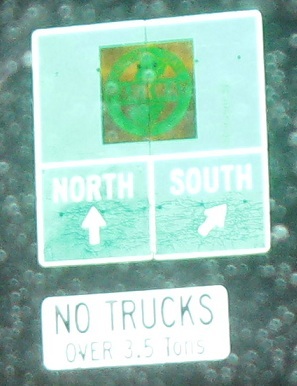 The first two signs are on the half-mile multilane spur to the northbound Turnpike. If you're heading south as in the third photo, beware of the curve, it's mighty vicious, but unlike what the sign implies, there are not 25 curves here. Add "M.P.H." Heading toward the southbound Turnpike, I picked a day when all traffic was shunted to the Outer Roadway. The inner one was not physically closed, so my guess is that there was a lot of congestion on the Inner Roadway ("car lanes"). Wood Ave. EB at Exit 131A.